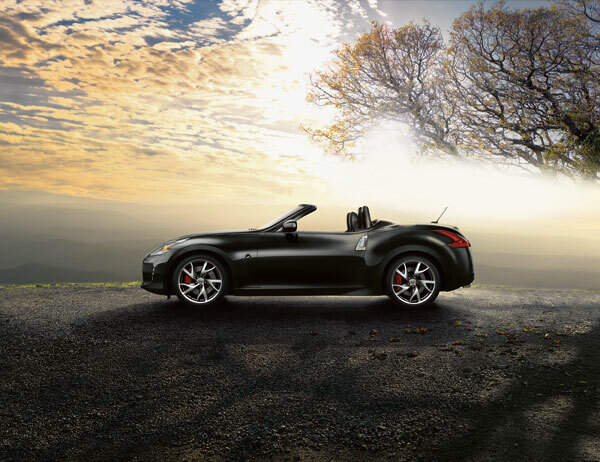 What would one man give to own the 2014 Nissan 370Z? We’re all probably quite familiar with the expression that involves giving your right eye or left foot for something that is particularly desirable but otherwise not terribly affordable. There’s, of course, a somewhat more vulgar derivative that has to do with an individual sacrificing his left testicle for an object of some great affection. Mark Parisi is not the kind of man who would just go out there willy-nilly and say that he would sacrifice his left testicle for the opportunity to own a Nissan 370Z; he’s the kind of man who actually gives his left testicle in order to buy a Nissan 370Z. Parisi tells CBS’ The Doctors that is donating one of his testicles to a medical research organization for the hefty sum of $35,000. When asked why, he rather nonchalantly states that he wants to buy the new Nissan 370Z. Because of course that makes sense, why wouldn’t he do that? Jalopnik is quick to point out that the base model costs around $31,290, and the NISMO edition of the 370Z, which is the best of the bunch, tops out at $41,470. Clearly, Parisi would need to sell another pound of flesh (although that particular idiom might go giving him a big head…or making him cockier somehow…okay, never mind) to get the top-of-the-line version. And why wouldn’t he go all the way? Parisi strikes us as the kind not to go in half-cocked on a deal like this. He seems like a man with big brass ones. Or one. This certainly begs the question: what would you give to own the car of your dreams? Leave a comment and let us know!